On July 23rd, 2017, there will be a New Moon at 0 degrees of the fire sign of Leo. This is the first of two New Moons in the sign of Leo this year. 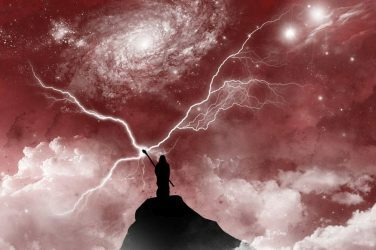 The next one will be the Solar Eclipse on August 21st, so the themes that arise presently are an initiation into the themes you will encounter during next month’s eclipse. 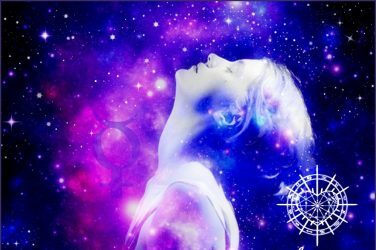 After the Sun’s lulling trip through the waters of Cancer, this lunation will represent a stark shift from lazy daydreaming towards energized action. From the perspective of the northern hemisphere, when the Sun’s light is on the decline a certain urgency begins to permeate the air. 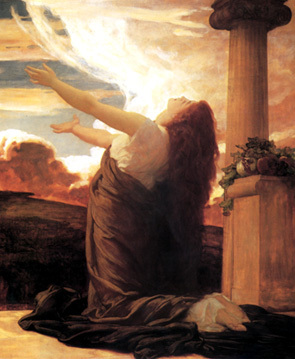 Luckily, there will be an extra thrust of raw power and motivation to draw from at this New Moon. Not only is Leo the Sun’s place of rulership where vitality is restored, but Mars will be conjoined this New Moon, endowing you with sharp eyes and even sharper claws. Since Mars will be adding an element of competition and cunning to this New Moon in Leo, it would be most helpful to imagine that the world is a stage and that the Sun is the spotlight all the players are vying to stand in. In other words, your sense of confidence may grow, but so too will the competition you must face to achieve your aims. Under the pressures of competition, the Sun shines for those who radiate honest enthusiasm. It scorches those who act out of greed. And it hides from those who act out of desperation. By the time of the New Moon, Mars will have been separating from a square with Uranus for days, an influence that tends to evoke an ardor for iconoclasm. Thus, the lingering fragments of whatever you have been questioning or deconstructing will become a part of this New Moon’s culture of intention. 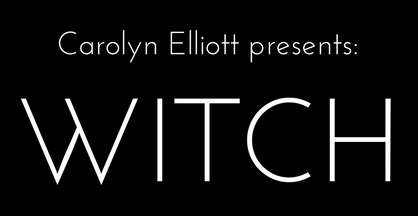 New Moons begin when the Sun and Moon merge, blending the masculine and feminine, rational and irrational. This luminary coniunctio (union of opposites) ushers in a fresh cycle of fertile energy. But with martial energies added into the mixture this month, your creative pulse will throb with a new passion for glory. Whether your passions lead you to embody courage or malice all depends upon the strength of your integrity.The sign of Leo is associated with the artful development of persona and creative self-expression. Thus, each Leo season is a time for refining and making improvements to one’s character. Sometimes your character is improved by experiences of exuberant joy and ecstatic bliss. But often your character is shaped by conflict and confrontation with your own pettiness and self-deceit. Considering that Mars is conjunct this New Moon, still separating from its square with volatile Uranus, it is safe to suppose that you may experience a confrontation with some of your pretensions. If you can manage to confront your own pretension without losing grace and nobility of character, then the Sun will shine its light upon you and your path towards glory will be illuminated. In other words, this is a time to learn to handle criticism and negation without losing your sense of purpose. To better understand how you might best navigate this New Moon’s uncomfortable moments of self-illumination, consider the classic apocryphal story about when Alexander the Great met Diogenes the Cynic.But to understand this coniunctio of legendary figures, their characters must be briefly examined. Everyone knows Alexander the Great as an historical symbol of victory, valor, and conquest. He successfully conquered the known world changing the course of history forever, exalting and preserving Greek culture and customs in the cultural memory and imagination of the West. Living like a solar demi-god, it is said that Alexander believed that he was an incarnation of the hero Achilles and that he was the son of Zeus. It is not hard to imagine that Alexander commanded respect from those who honored and feared him. It is easy to assume that he was worshipped everywhere that he went. The kings of many nations bowed before him. But then there was Diogenes, the Cynic. Diogenes is remembered as a philosopher, but he did not leave behind a record of dialogues and plays like other ancient philosophers. He is famous for fully embodying and enacting all of his ideals and questions about life. It is said that he often wandered through the city, holding a lantern (or candle) to the faces of the citizens claiming that he was searching for an honest man. 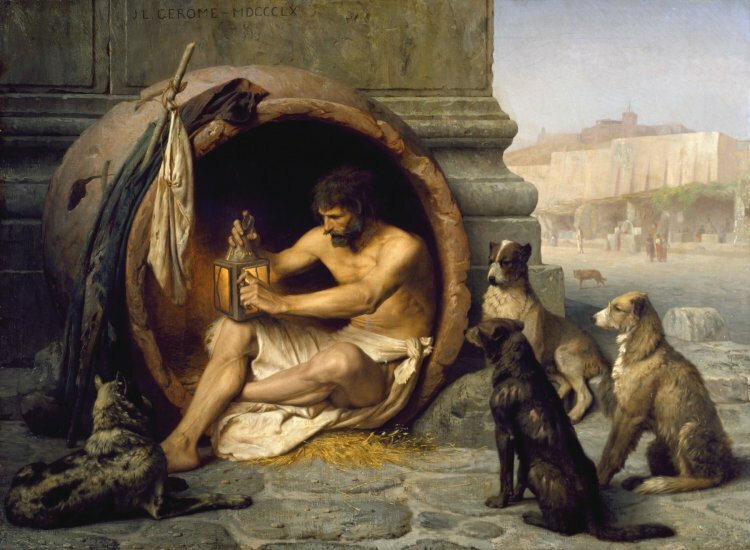 Though he rarely found any honest men, Diogenes sought to live an exemplary life of autonomy which by contrast demonstrated the absurdity of cultural attitudes and pretensions. Whereas Alexander exalted Greek culture and thrust it into a place of supremacy in the world, Diogenes ridiculed and mocked it. 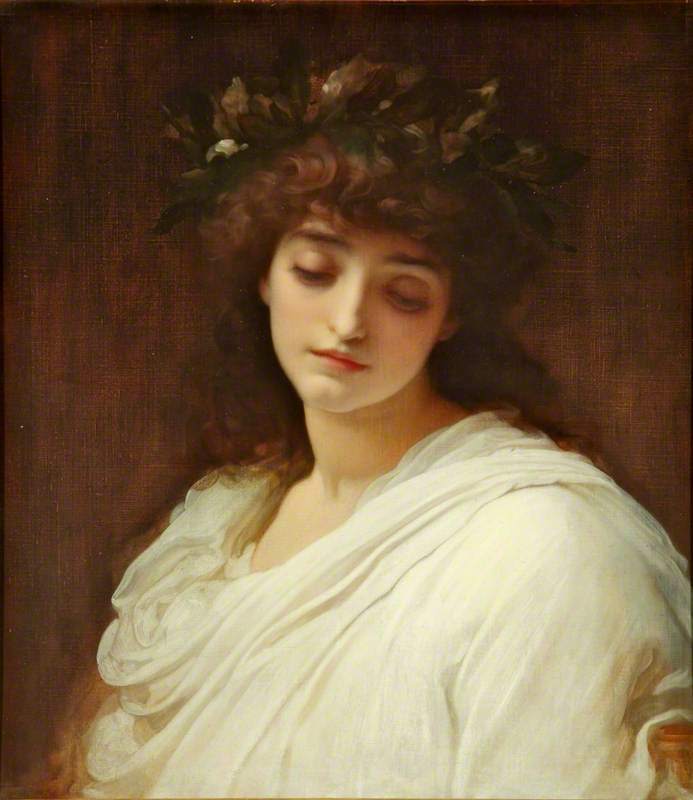 For Diogenes, a reasonable life was one lived in accordance with one’s natural inclinations. To be true to oneself, then, was to pursue a life worth living. He was a vagrant by choice, living in a barrel in the city of Corinth. He was often naked, he begged for food and he washed and drank from the river. Rather than extolling the virtues of his contemporary, Plato, he instead insisted that Plato’s lectures were a waste of time. 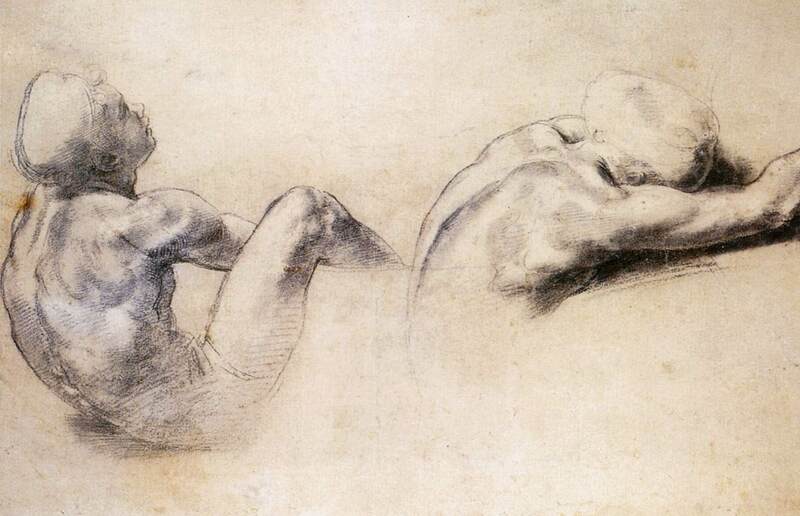 During one particular lecture, Plato had described Man as being a “featherless biped”. As a demonstration of his disdain for Plato’s musings, Diogenes plucked a chicken and brought it to the next lecture with the words, “Here is Plato’s man.” hung about its neck. 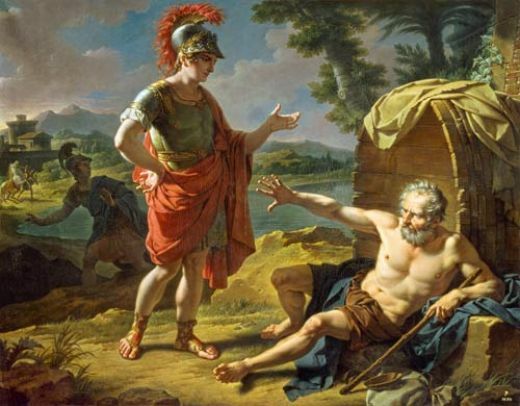 So what happened when Alexander the Great met with such a man as Diogenes? There are different versions of the story, most notably found in Plutarch’s Life of Alexander and Diogenes Laertius’ Lives of the Eminent Philosophers. According to both versions, Alexander visited Corinth soon after the death of his father in 336 BCE when he was only twenty years old. Diogenes would have been at least seventy. “Alexander went in person to see him [Diogenes] and found him basking at full length in the sun. When he saw so many people approaching him, Diogenes raised himself a little on his elbow and fixed his gaze upon Alexander. The king greeted him and inquired whether he could do anything for him. The humor and the joy of this story comes from the fact that Diogenes was totally unimpressed by the radiance of Alexander, son of Zeus. In response to Alexander’s flattery, Diogenes was non-plussed. Instead, his only response was disdain for whoever it was that was blocking his sunlight. 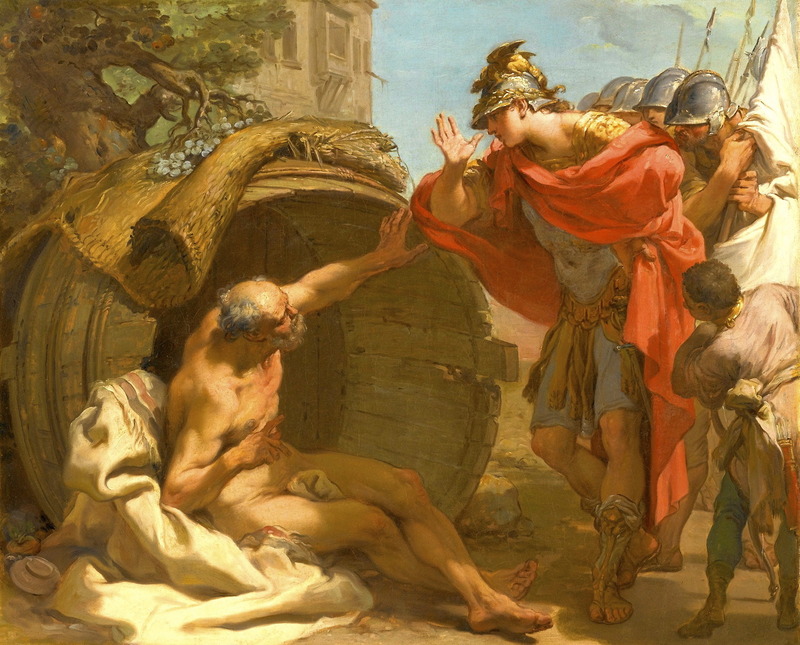 Diogenes lived to reveal the dishonesty and the pretension in his fellow Greeks, including the legendary conqueror Alexander. But what is even more fascinating about this story is how Alexander responded. Whether or not this meeting ever happened is unimportant. What is significant is its demonstration of how one should handle a situation where one’s ego is being challenged. Rather than responding with wrath, Alexander was pleased with Diogenes. 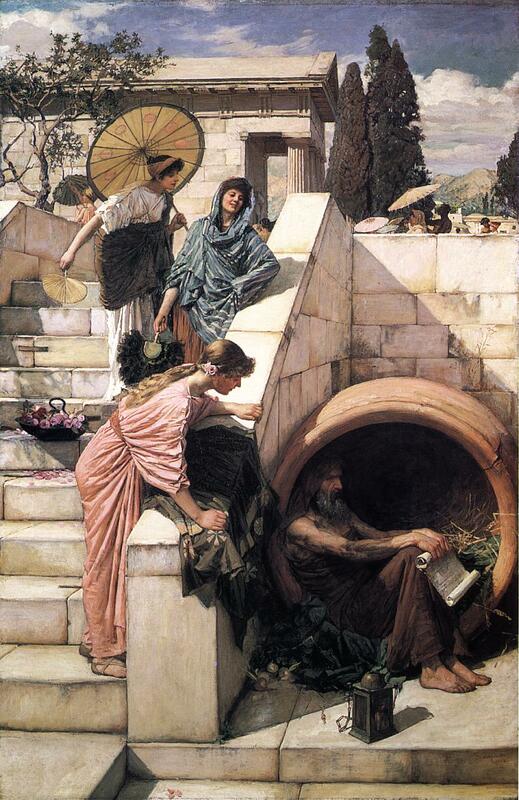 Through his brutal honesty, Diogenes the Cynic became the idol of a king. Thus, at this New Moon in Leo, you may set the intention to make improvements to your character, strengthen your honesty, and to be refreshed by new vitality. When you are confronted with a challenge to your ego, choose to react with an appetite for truth and virtue that usurps your petty habits. If you are tempted into weakness by flattery, as Alexander tried to do with Diogenes, then respond with disinterest as a Cynic would. And if you are tempted into wrath by an insult, act nobly as Alexander did, acknowledging your aggressor to be a valuable teacher. 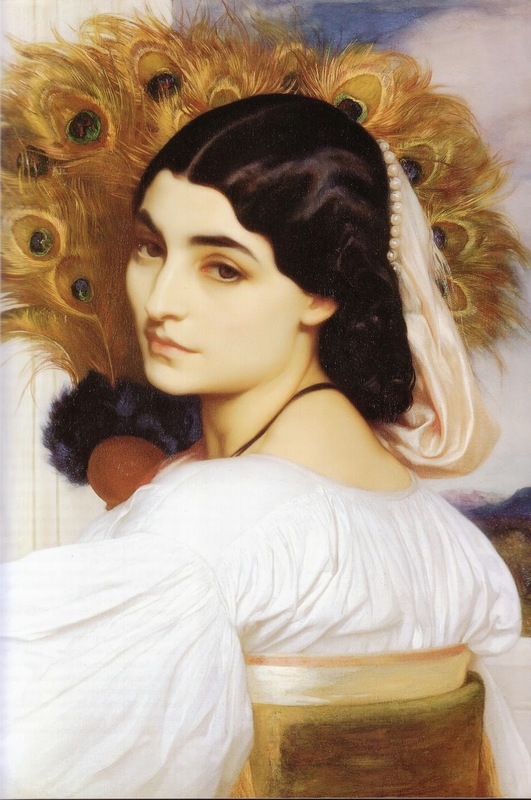 Allow this New Moon in Leo to act as a lantern that you put up to your own face while asking, “Am I being honest about who I am?” Resolve to have more courage to be honest and in this manner you will be able to carry the light of who you are into any situation that life offers. 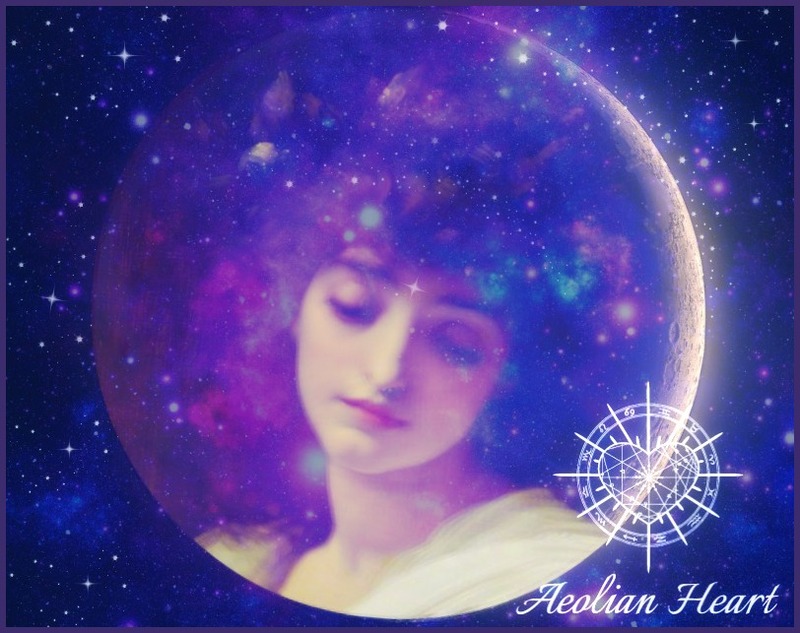 If you enjoy reading Aeolian Heart’s Astrology forecasts, please like and follow her on Facebook.